Obama's Money Machine: Now Running Foreign Policy? The Senate Foreign Relations Committee is considering the nominations of two men to represent the United States in East Asia: Republican Governor Jon Huntsman of Utah, and Democrat John V. Roos of California. But it's the Democratic appointment who is selling out Obama's promise. The nomination of Huntsman as ambassador to China was sheer political brilliance on the part of Barack Obama: He exiled a potential 2012 electoral opponent, neutralizing one of the few promising moderate, business-minded, "family values" politicians that the Republican party has left. And Huntsman, whose Mormon mission and longtime business interests have taken him repetedly to China over the years, will bring a skilled hand to his new posting. The claim to fame for Roos, on the other hand, is that he raised a lot of money for Obama's campaign. Roos, a powerful lawyer in Silicon Valley, bundled some $500,000 to support Obama's election and inauguration (under George W. Bush's system of rewarding cronies, he would have been a "pioneer"). As thanks for the massive haul, Obama gave Roos the lead diplomatic posting for America's closest ally in the Pacific: Japan. The new ambassador to France? What is his qualification? Does he speak French? “He does,” [White House Press Secretary Robert] Gibbs said. And the new ambassador to Britain? What is his qualification? “He speaks English,” Mr. Gibbs said. Mr. Gibbs was kidding, but mastery of English may be one of the most relevant items on the résumé of Louis B. Susman, the new ambassador to the Court of St. James’s. Mr. Susman, a retired investment banker, earned the London posting not through diplomatic service but by collecting big checks for Mr. Obama’s campaign. Charles H. Rivkin, an entertainment mogul who once headed the company that created the Muppets, is heading to Paris for the same reason. Over the past twenty years, the United States has confronted a series of challenges critical to our interests in Asia, such as long-standing territorial disputes, contentious trade disputes, nuclear proliferation, environmental destruction, and a changing regional balance. The region is transforming as a result of its economic integration, the spread of Islam, competition over natural resources, and emergence of China as a regional power. Despite these changes, the United States has continued to approach the region with a limited, short-term scope. Quite obviously, then, you want the best and the brightest, those steeped in the nuance and delicacy of regional politics. After all, Japan is a member of multiparty talks to walk North Korea back from the brink of nuclear armament. Has Obama seen proof that John Roos, whose law practice focused on technology and startups, knows the first thing about these issues? Granted, as Laura Rozen of FOREIGN POLICY pointed out to me yesterday, Obama's dubious motivations are hardly the backslapping free for all that characterized ambassadorial appointments under Bush. But it's a reminder that despite all the talk of Obama's online money machine, lots of old-fashioned check-cashing was going on behind the scenes. 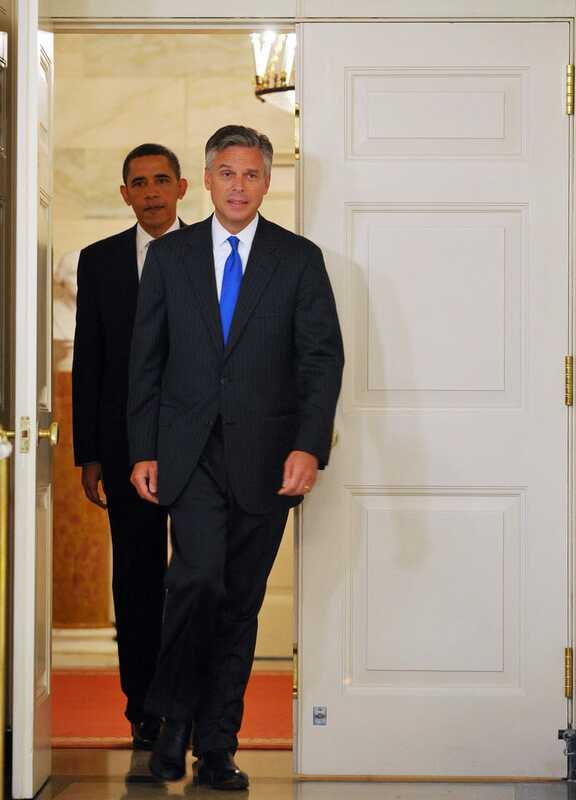 And it is certainly disappointing to see Obama make such a smart move on Huntsman, followed by a politics-as-usual play with the remainder of his diplomatic selections.